The Giant Tiger store in Simcoe has also made a monetary donation in support of our Children’s Christmas Party. This generous support from local organizations in our community makes this party possible. 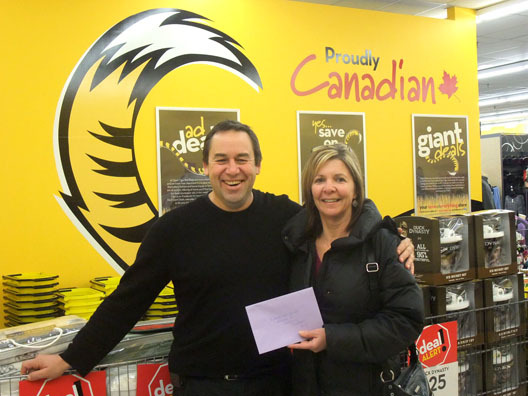 Pictured are Dwayne Good, Franchise Owner of Giant Tiger in Simcoe and Shari Gardener of the CAS.